Yes, chilly weather is OFFICIALLY here. With a few 70 degree days sprinkled throughout October, it's safe to say that with the arrival of November, mild fall days are now a thing of the past. 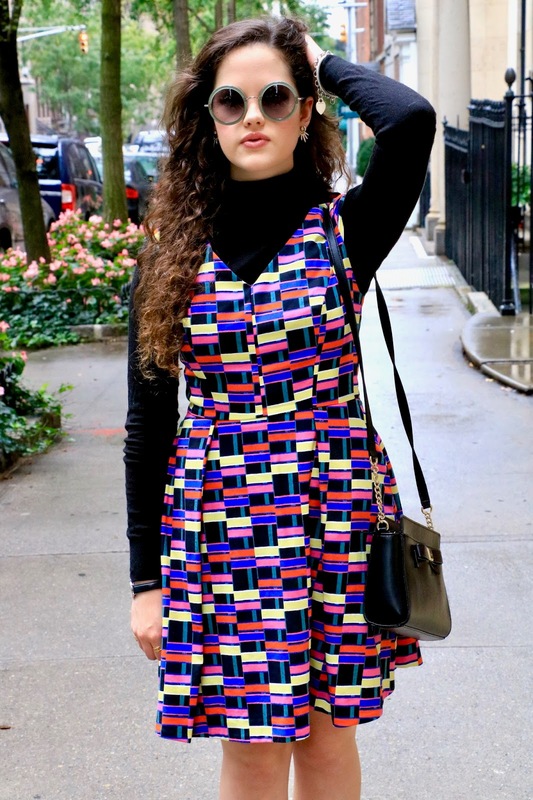 To help ease your way into dropping temps, try one of my favorite layering techniques - all you need is a light-weight turtleneck! 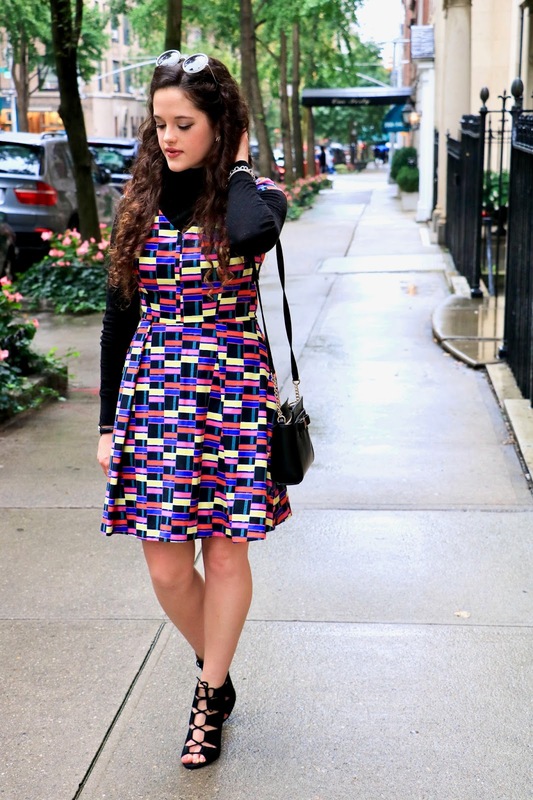 Starting with a dress, I chose a colorfully printed fit-and-flare style to layer over a turtleneck. The colors here are vibrant, exciting, and just fun enough to bring some sunshine to any dreary fall day. 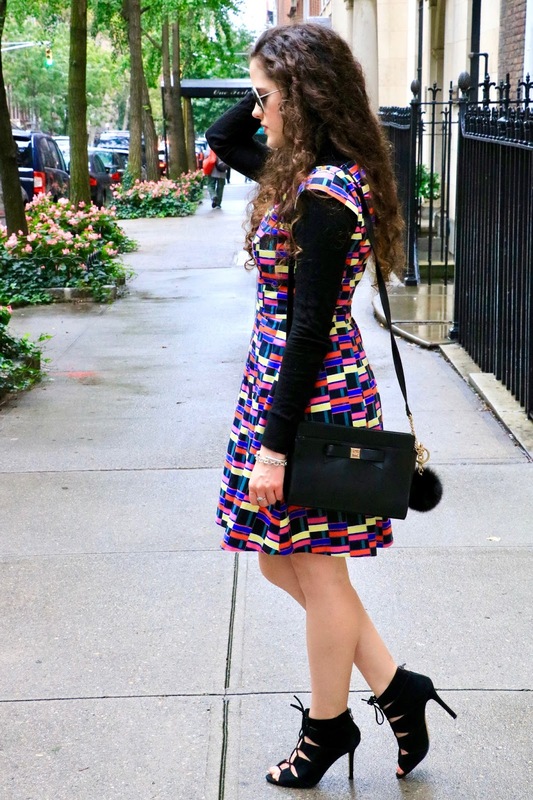 Even better, on top of all black everything, this dress truly pops, making a super bold statement - and you know how I love my bold statements! 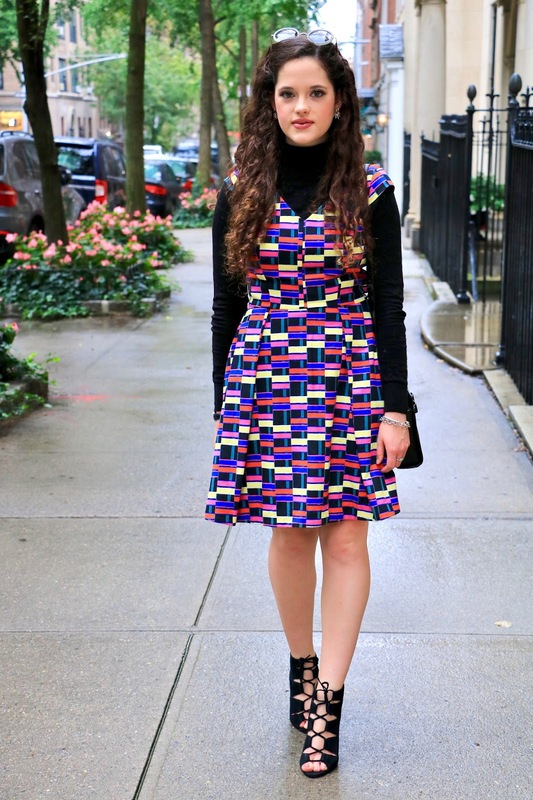 But while dresses are fun and all - and definitely the focal point of this look - it's the hardworking turtleneck that's actually the most important piece to this puzzle. 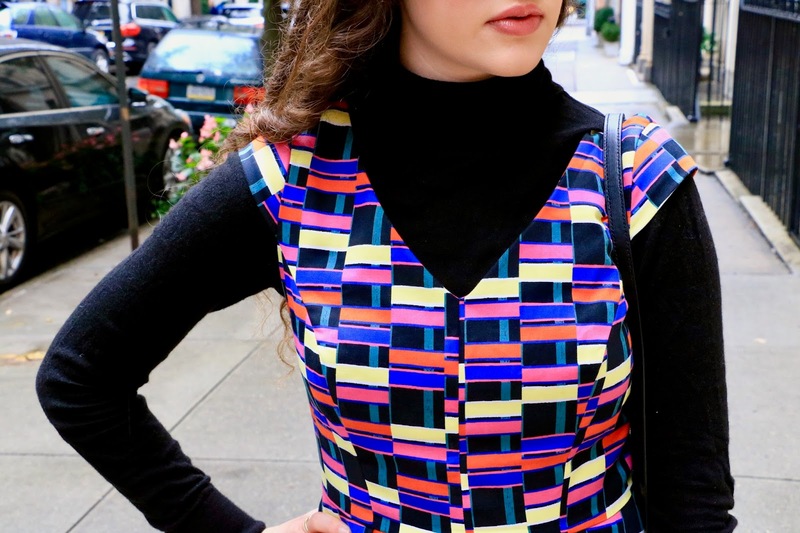 A thin wool turtleneck like this one makes tons of warm-weather outfits possible during the cold season, meaning no wardrobe should be without! Never failing to provide fashionable edge, my trusty lace-up heels were a no-brainer for this look. With my dress featuring such a feminine silhouette, I knew I needed something a little more tough to pull off this dramatic street style. These babies totally did the trick! Offering a dose of sweetness, this bow bag by Kate Spade effortlessly compliments my girly frock. And I couldn't resist adding a fur pom pom keychain by Michael Kors just for fun! These oversized, round sunglasses help me pull off a retro vibe, a trend that I, along with the rest of the fashion world, have been totally digging lately! All it takes is one accessory to enter the vintage world of haute 70s style. 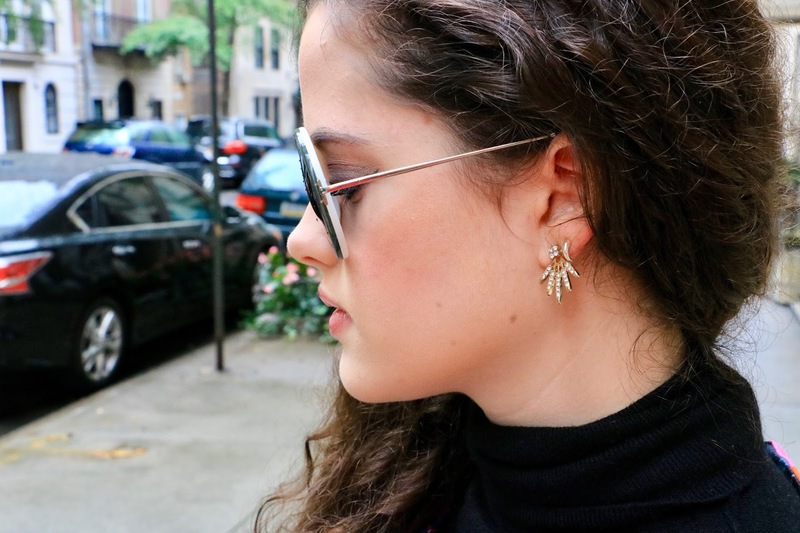 My gold detailed earrings make a statement all on their own, which is why I love them so much. No necklace needed when these lovely guys are around! Turtlenecks have helped me think outside the box when it comes to fashion by providing me with endless opportunities to layer and experiment. 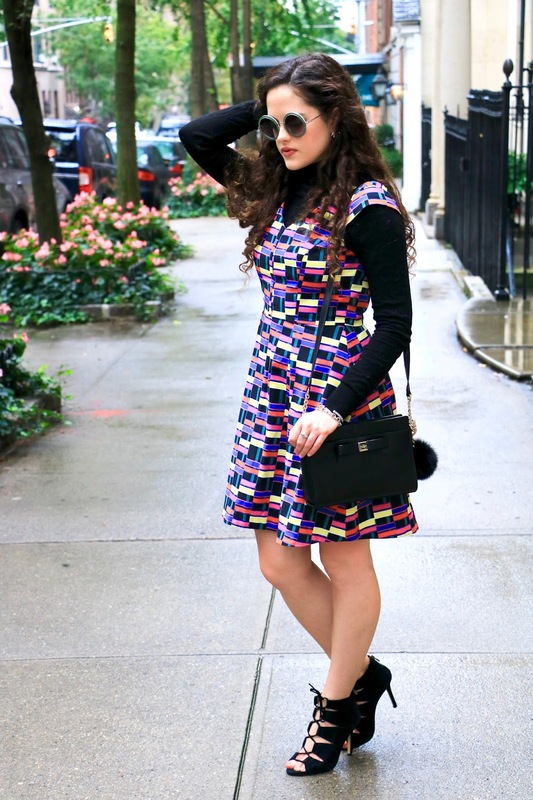 Throwing a sleek sweater underneath a summer dress is guaranteed to make your wardrobe choices feel fresh again! These photos were taken on a day when I thought a photoshoot wouldn't be possible. Antonio - aka my BF, BFF, and photographer - and I were all pumped for this weekend shoot...until we stepped outside of my apartment and realized it was raining. Hard. After wandering around in the rain for about 25 minutes and totally losing hope in the process, the sky cleared just long enough for us to snap these fabulous photos you see here! Sometimes persistence truly does pay off! Beauty, this is a really great set! Looks fabulous! So in love with your heels! Great blog you have, stay inspired! Such a perfect fall look Kat! 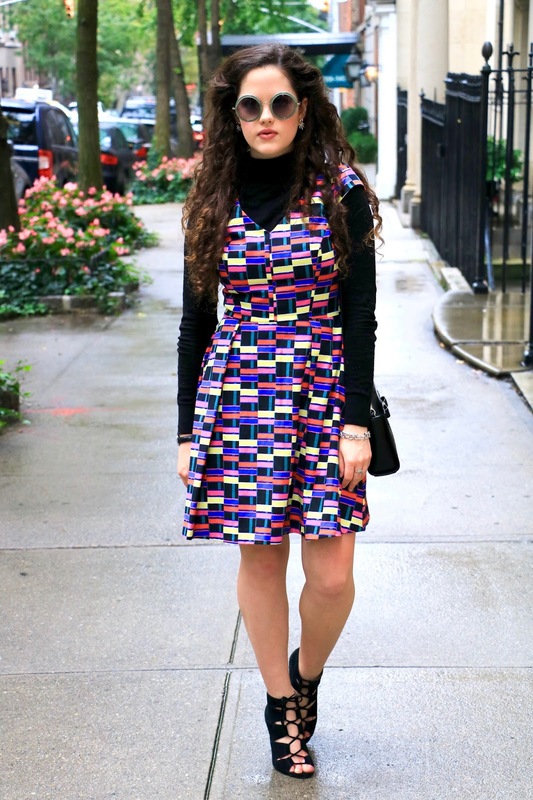 I am totally loving the layering game in your outfit! 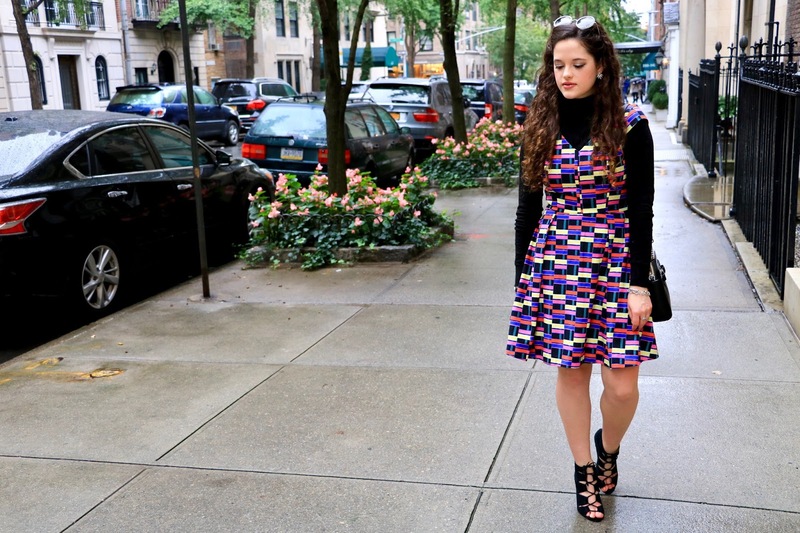 The turtleneck under that gorgeous Kate Spade dress looks really cool and fall like! :) The temperature has been dropping significantly in Latvia and we even had snow today! So crazy as it seems like summer was just yesterday! 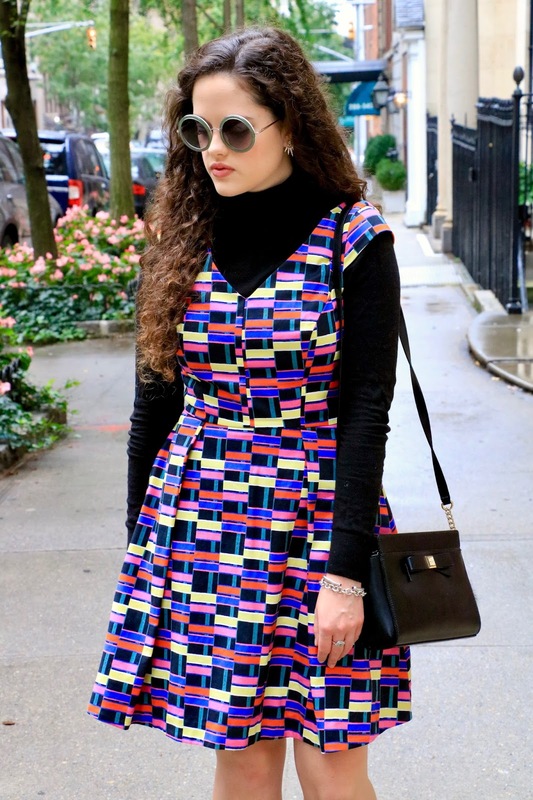 Hi Kathleen, that dress looks great with black turtle neck shirt, it makes a nice contrast with stamping and sandals are a perfect complement, the lenses are very good and you achieve that vintage touch that you wanted to give, lovely look dear! Hi! 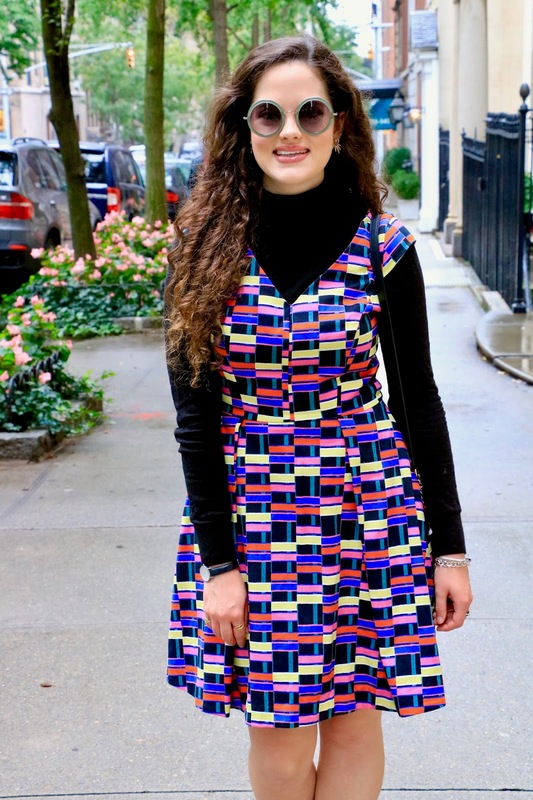 I'm Kathleen Harper, a bubbly New Yorker with a vibrant sense of style and a passion for inspiring others. ...Oh and I also have a slight shoe obsession! Blog Design by Joyful Outfits. Powered by Blogger.